Having Meet Paul over dinner who serves the Halibut delights, either grilled or deep fried depending on customer preference was my pleasure. 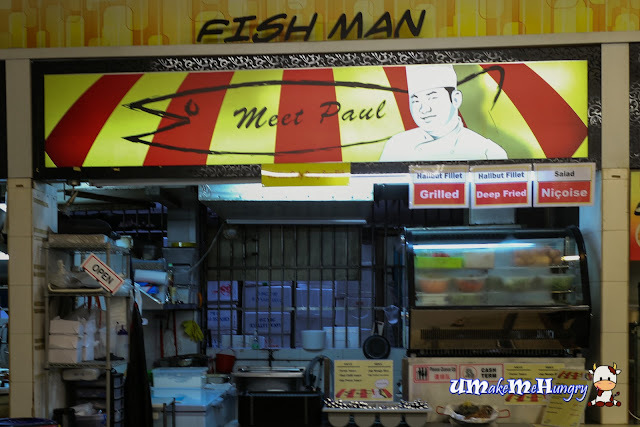 Meet Paul was located at one of the coffeeshops walkable from Tajong Pagar MRT station and would have gone un-noticed for people like me who seldom go into the vicinity as it was hidden below a HDB block. Having met the chef, Paul, he was friendly and service-orientated, explaining his products. 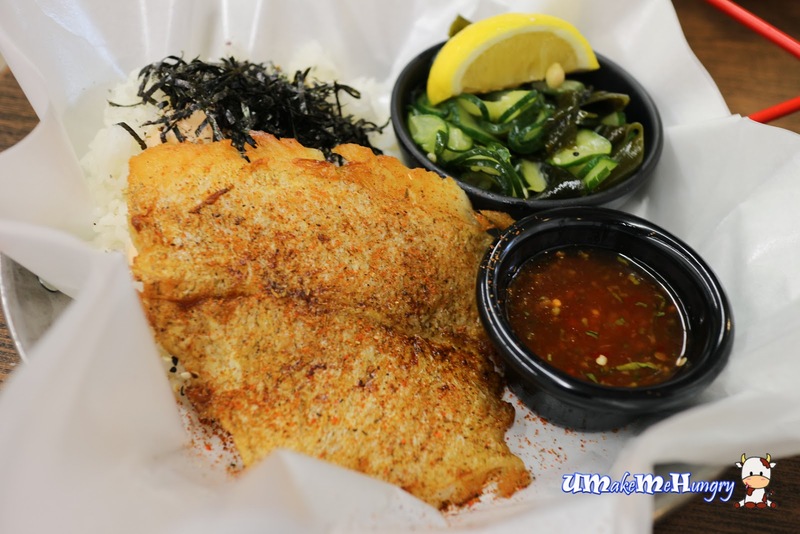 Only Deep sea halibut was used, affirming freshness and quality to Paul's customers. 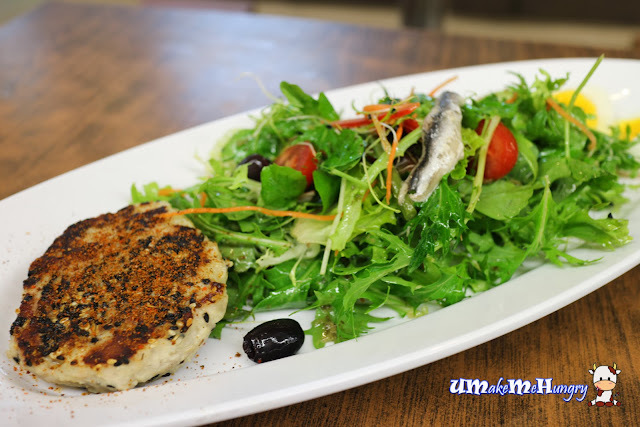 His menu was make interesting with his innovative style of serving the fish which changes about once every two weeks. When I was there, he was serving halibut in Japanese style which I thought was something different for a stall in coffeeshop to do that. The mains were served on a metal pan which reminds me of dining in Fish & Co and they had double sided tapes pasted below the pan to secure a placement on the table. Grilled fish was cooked to a textural golden brown perfection. It's crisp outer layer was coated with typical Japanese chilli flakes and pepper. It's fresh was white in color and a little salty had actually bring out the taste of the Halibut. Just below it, enjoy the fragrant Japanese rice heavily sprinkled with Wakame (Seaweed) accompanied by mayonnaise sauce. Appetizer was pickled cucumber with another type of wakame that has a subtly sweet flavour in nature. Crunchy and unique. The chilli was more towards Thai, sweet and sour with chopped coriander leaves, and these goes very well with the meal. The only difference of this dish from the previous was the way how the halibut was cooked. Deep fried to a darker brown with japanese chilli flakes and peppers. I would prefer the former as I find that the taste of the meat was abit blend as compared to the grilled one. 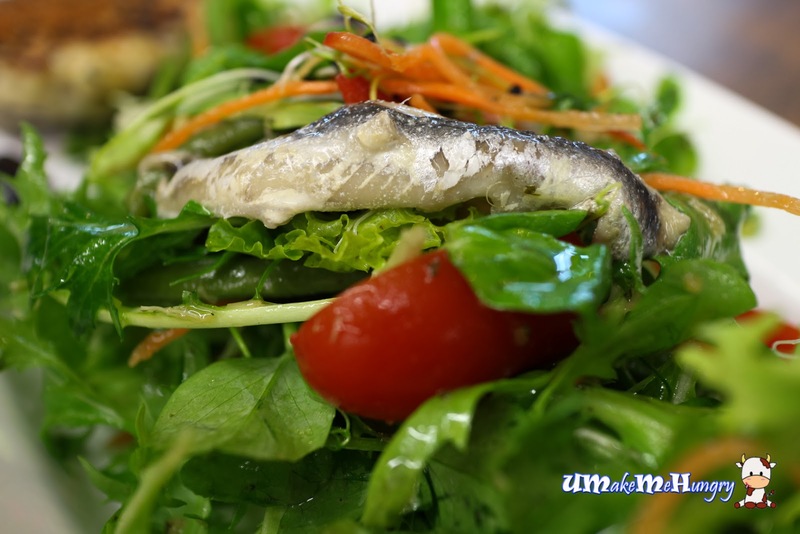 Dressed in vinaigrette, the presentation of the plate of the Nicoise Salad had given me a different perspective of a salad, consisting of tomatoes, green beans, Tuna croquette (home-made), hard-boiled eggs, olives and anchovies. Anchovies had a very distinct smell once the plate of salad had landed on our table. 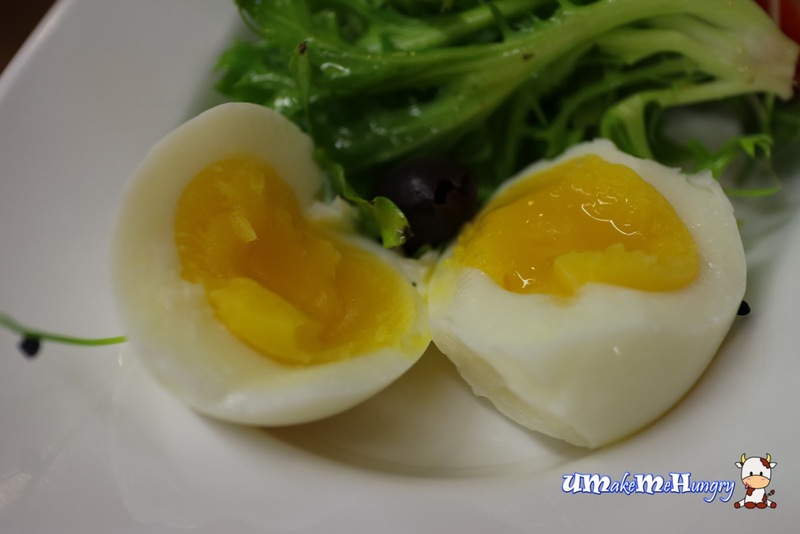 The soft boiled (hanjuku) eggs which was part of the salad had velvety soft yolks but firm white. Totally japanese. In conclusion, the kind of serving Paul offered was exciting and filling to the stomach. 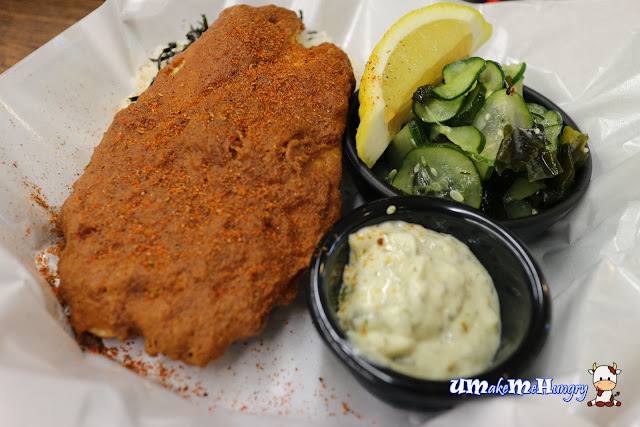 To me scaled down version of commercialized fish and chips we had in mall at an attractive pricing and also specializing in Halibut. Why not mark down on your calendar on this weekend to meet Paul for your gourmet trail?